‘My hard disk is bigger than your hard disk’ covers. When you’re happy and you know it, you create some really fun products! This here from Happily Unmarried. Quillkaari make these lovely delicate, handcrafted paper accessories, and they send these across to their customers in the most endearing way. 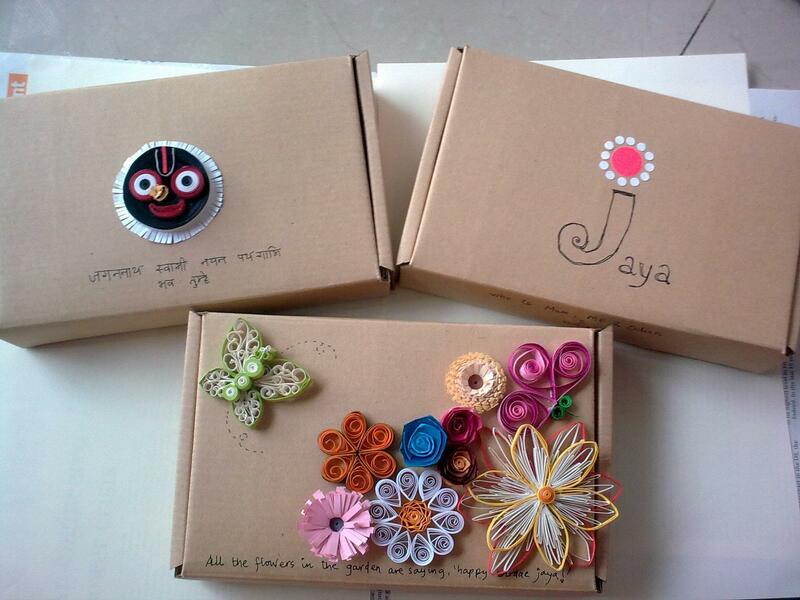 The way happy people decorate gift boxes – simple brown boxes, playful scribbles, cute messages and intricate Quillkaari decorations.